Tile Bazaar in Sydney invites homeowners, designers and architects to find the perfect tiles for your project. Whether you're building your dream home or renovating your existing home, Tile Bazaar has the most extensive and innovative selection of mid to high end quality indoor and outdoor tiles for your project. Our design consultants will guide you from concept to creating the perfect design solution for your project. Come and experience our showroom in Sydney. Hisbalit has landed in Australia with a new and exciting range. The Australian Collection - designed to reflect the varying characters of the Australian Coastline, from the deep oceans of the south coast, to the iconic waters of the tropical north. The Niebla, Unicolour and Luxe Collections round out an impressive range of colours. Established in 1964, Hisabalit Mosaico is one of the oldest glass mosaic manufacturers in Europe. For almost 50 years we have been relying on innovation and design to achieve our objective: the development of innovative, practical, inspirational and highly durable solutions for the sustainable covering of all types of spaces.Hisbalit is the leading manufacturer of high-quality glass mosaic tiles that are environmentally friendly and 100% recyclable.Hisbalit mosaics are made entirely in Spain of 100% recycled glass and natural pigments. 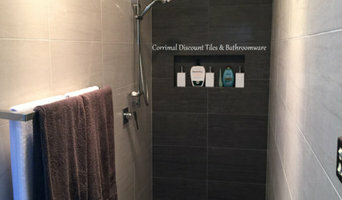 Corrimal Discount Tiles & Bathroomware is a locally owned business that has been around for over 20 years. Corrimal Discount Tiles & Bathroomware prides itself on a High Level of Customer Service, with quality tile & bathroomware solutions backed up by a friendly and reliable design team. We offer an exquisite range of tiles and bathroomware on display to suit every home or project requirements. Our showroom is always being updated with the latest designs and styles in tiles and bathroomware. Our showroom has a large variety of tiles and bathroomware on display including designer bathroom concepts. 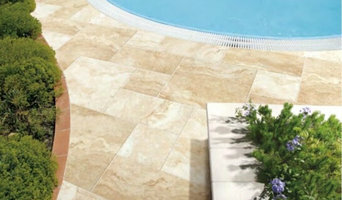 We have a large range of tiles from countries such as Italy, Spain & China. Our Bathroomware range includes well known brands such as Timberline, Phoenix Tapware, Caroma, Dorf and more. Our Friendly Design Team are constantly researching new trends and cutting edge technology in Home Design and Renovation, to further provide its Clients with a broad spectrum of advice which will bring your dreams to a reality. Though bookings are not essential, often it helps better prepare our free in store Design team to provide as many stunning options for you to envy. Importers and Distributors of the finest Porcelain tiles, mosaics,stone collections from around the world.Looking for quality tiles for your home? Selected Ceramics will help you make the right choice. Boasting an extensive range of tiles and natural stone, we also supply tiling tools, tap ware, vanities and more to residents across Sydney. As a family-owned business with more than 25 years experience, we're proud of our reputation for providing a professional, personalized service. Whether you're renovating or building your home, we're happy to share our knowledge and ensure you select a product that is both stylish and durable. Call us today or visit our showroom to check out our impressive range. 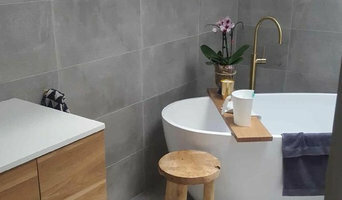 We are a well established company located on the Northern Beaches that specialises in Turkish Travertine, Tiles, Mosaics, Basins, Baths and Furniture. With direct access and daily contact to the quarries and factories in Turkey we can guarantee the highest quality selection and colour consistency available. With a committed team comes many years of experience, we acknowledge the importance of customer service and deliver on this. Our Brookvale Showroom is open 6 days a week and displays over 200 samples of natural stones, 7 bathrooms showcasing the latest look in stone designer bathrooms along with the latest addition to our range, ELA Glass Mosaics. ELA Glass Mosaics come in 25 difference colours with stock ready to go! DNS Offer affordable and high quality travetine tiles, z panel walling, granite, cobblestone and complete walling and flooring solutions. Effective, affordable solutions for the cleaning and maintenance of tiles and grout! We repair leaking showers and leaking balconies. We re-grout dirty, mouldy showers and replace seals & caulk. We clean and seal tiles and grout, re-colour seal floor grout, and provide anti-slip solutions for tiles, stone and concrete. Our consultation are free and without obligation! Please, don't rip up your tiles before calling Andrew @ Tile Rescue! Always happy to talk through the options! Versatile Australia Specialising in the supply and laying of floor and wall tiling. Being a well established company in the Wollongong area we are a committed team of professional tilers who are passionate on making all projects a pleasant experience for the customer. 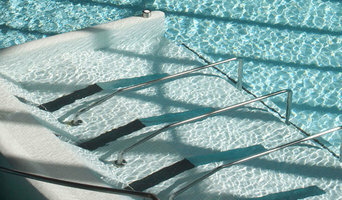 Versatile Australia thrives on providing a high quality service with a good value for money. Many tile, stone and benchtop contractors in Wollongong, New South Wales work in tandem with plumbers in the bathroom. They can assist in a variety of common surfacing jobs, from installing shower pans to small grouting jobs. Furthermore, they can create and install murals, mosaics, and repair or replace any surfaces with chips, cracks or stains. Here are some related professionals and vendors to complement the work of tile, stone & benchtops: Interior Designers & Decorators, Architects, Building Project Managers, Kitchen & Bathroom Designers, Design & Construction Firms. Find Wollongong, New South Wales wall and floor tilers on Houzz. Look through Wollongong, New South Wales photos to find tile, stone and benchtop projects you like, then contact the contractor who worked on it. Browsing photos will also help you stay on top of the latest trends; subway tiles, for example, are trending in kitchen splashbacks, while stone and concrete benchtops are replacing tile or formica surfaces.